Software Development is at its full throttle. Waterfall environment to Agile is a paradigmatic shift of stringent process to supporting flexibility at all stages of SDLC. Agility in development is important to keep up with the innovation and technology trends. This feature results in earlier bug detection to be fixed immediately. However, Agile Development calls for iteration of test cases throughout Software Development Life Cycle which would impede the expected delivery date of the end product. This is where Test Automation can work wonders. Time for DevOps – DevOps is an extension of Agile. It is all about Development and Operations at the same time. 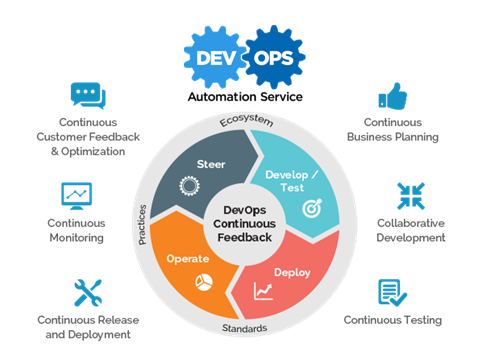 To enhance delivery and speed of the software product, DevOps would assist by cross functioning and collaboration from a group of professionals. From Development to Testing, DevOps makes agile development environment exceptionally powerful. 2. Develop and Test consecutively – The biggest advantage of working in an agile environment is the leverage to develop and test repeatedly. Testers, must fulfill the client’s expectations by paying heed to quality objectives and functional efficiency of the software product. There may be sprints in large numbers and fixing them would require time and effort, it is thus necessary to start conducting automation testing and development side by side with sufficient time. 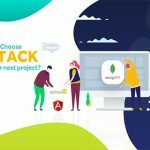 Another prominent benefit of parallel development and testing the product is to get rid of any last minute modifications and encouraging productivity among team members. 3. Thinker broader – There are tools to help QAs understand and assess the extent of testing being performed on the product in question. Undoubtedly, this approach is significant when time and efforts are major constraints to deal with. 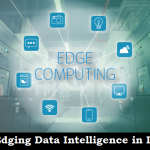 Moreover, tools ensure that all functionalities are met and there is always room to make modifications where the additions will not impact existing functionalities. 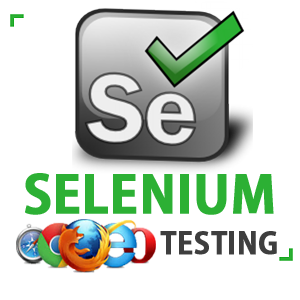 Selenium WebDriver for UI, Selenium Grid for parallel execution, JMeter for performance testing, Cucumber for BDD, Appium for Mobile devices, SoapUI for web services, and WireMock for testing of web services when it is unavailable. 4. 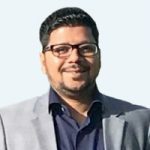 Exact Scripts for effective testing – Quality Scripts neither complex nor large are a must have when it comes to test automation in agile development. To be able to stand regression testing, it is essential to allow flexibility in scripts. There are certain factors that need quick attention are Maintainability, Versioning, Integrity, Correctness, Portability, and Performance. These are quintessential to address if correctness and smoothness of automation testing is your primary concern. This will result in availing accuracy, performance, and speed. 5. Visibility of Automation Results: It is essential for automation to be accessible and simple with its results visible to all. 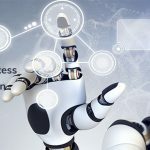 Automation serves its purpose when and only when code implemented improves and notability of its effect is observed, not forgetting the impact of statistical data and trends that come along. Automation also leads to updation of test scripts at intervals, promising collaboration in development and delivery of product. 6. Development is as important as Testing – Development involves implementation of complex environments and machines that may not be compatible with external servers. In such situations, bug occurs costing the team their precious time and efforts. This generates the need to understand development pre-requisites to attain quality and timely delivery of the software product. Automation is the need of today! 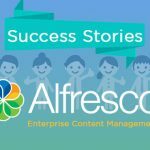 Agile Development Environment presents countless opportunities to develop a first-class product offering. Implementing latest Automation Testing tools can accelerate the possibilities of timely completion and deployment of the product. Moreover, the cost will not be a constraint as everything is planned and testing is done repeatedly to ensure that no future bugs arise. 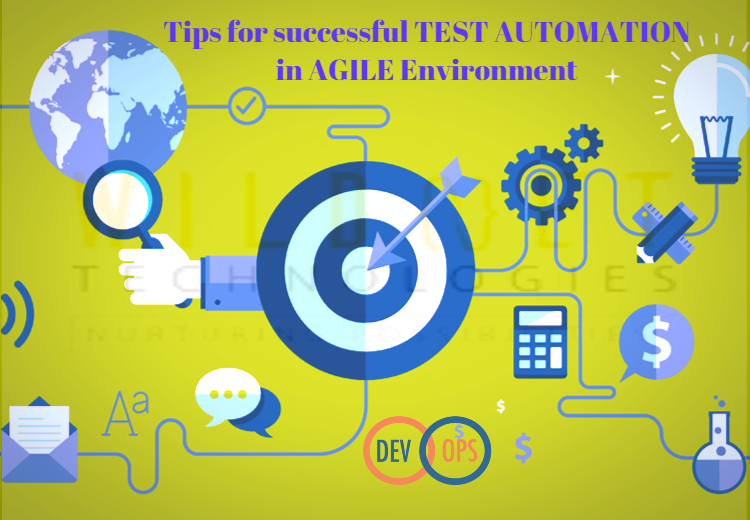 Test Automation in Agile improves the product quality, productivity of team, and significant reduction in testing phase. Wildnet Technologies is an innovative Software Engineering Agency offering its best-in-class Automation Testing services across the globe. Its QA and Testing team has years of expertise in understanding the client expectation out of their product. Its testing solution has the capability to validate simplest to the most complex business processes. If you have any project in mind that needs testing or development from scratch, write to us now! 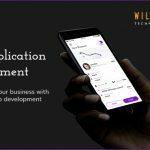 Next Next post: How a Mobile App can help you grow your business?